Oh! One of My Favorite Cozy Mystery Authors Just Released a New Mystery! What Will I Do? A little while ago, Lynn T. sent me a topic that she thought would be interesting as an entry idea. I totally agree with her. How about you? Do you show restraint when a very favorite Cozy Mystery author of yours releases a new Cozy, or do you “throw caution to the wind” / “wing it” / “go for it” like Lynn T and I do? I am such a fan of the Lucy Stone cozy mysteries by Leslie Meier that I will buy them automatically & in fact can hardly wait till each new one is released. Lately I have been re-reading the earlier books in the series too. They are really a “comfort” read for me. Out of all the cozies and other books I read, Leslie Meier is my favorite. Barbara, I made a comment in my recent Easter books’ entry about sometimes wishing that I was just discovering some of my favorite Cozy Mystery authors. Leslie Meier was amongst those authors I was thinking about. Lynn: YES! We grab the next one on several of my and my daughter’s favorite authors, but there’s a longer list of those whose book buys we limit those buy to a particular series of theirs. For instance: Cleo Coyle – her coffeee house series and Mary Daheim her B & B series; and the Stephanie Plums Janet Evanovich writes. I’m like the both of you – no restraint at all. My Nook has mega books stored on it + waiting for some future book releases. I have super will power when it comes to watching what I eat (lost 85 lbs through WW and keeping it off); but NO WILL POWER when it comes to buying my new Cozy books. Thank you Danna, Susan and Dru. What helped the most was reading interesting cozy mysteries and keeping my hand busy with knitting and crocheting. Saturday (and holidays) are my cheat days. Otherwise I watch myself from Sunday-Friday). Sheila, Years ago when I was on Weight Watchers, Sundays were my cheat days. I found that “cheat days” were essential. Cyn, I am starting to think my husband is not normal in this instance! Marie, it’s a good thing you don’t feel the same about all of these authors’ series. That would be quite a few! For me, it would have to be Sue Grafton. I don’t know what I’m going to do when she gets through the alphabet. I feel the same way about Sue Grafton books. I always have a few pre-orders on my Kindle. As soon as I see the new book by Louise Penny I order it. No review necessary. Also, I have pre-orders by G. M. Malliet, J. D. Robb, and Catherine Aird on it right now. My apologies if this is a duplicate post. I waved my wrist over the touch pad on this laptop and the page vanished! So, as I was saying (typing?) – My “buy without regrets” include Diane Mott Davidson, David Handler, Sharon Fiffer, Elaine Viets and Jill Marie Landis’ Hawaiian mysteries. Then, I check for other authors I like and put the book release dates on my outlook calendar. That gives me a handle on whether I’m going overboard which I could easily do! Kalena, it’s not a duplicate post, but I know exactly what you mean about your computer (almost) having a life of its own! Your release dates calendar sounds like a pretty neat system. Laurel, your “No questions asked.” statement reminds me of why my husband and I stopped using the same account for our Kindle books! I like Kathleen Hering’s humorous designer mystery series. I think there are only two of them, so far, but I am hooked. Each chapter includes a decorator tip (some serious and some humorous). I found both of them on Kindle. First one in series is Hammered, Nailed and Screwed. Mimi, thanks for telling us about Kathleen Hering’s Hammered, Nailed and Screwed. I have heard of Hering’s Designer Mystery Series before. The price of hardcover books makes me gag so I never got in the habit of buying them but when I hear of a new Susan Wittig Albert or Joanne Fluke or Leslie Meier or Diane Mott Davidson I get on the reserve list at the library because I know I’d better be quick or I’ll have a long wait. Frequently, though, I just take home and look at them and return them unless they are very intriguing. I tend to read mysteries in spurts of interest. I thought Albert’s Widows’ Tears was very interesting but so tragic that I didn’t sleep well for several nights. Marion, with the authors you mentioned (since they are all best selling authors) I’m guessing that you end up on a reserve list even if you’re early. Yea, the closest I’ve ever been is 2nd or 3 rd in line but generally that’s fine. I’ve got plenty. Bev S, do you read Jennifer Chiavini’s Elizabeth Van Lew Civil War Series as well as her Elm Creek Quilts Series? I once saw her on the PBS Sewing with Nancy. She was an extremely interesting guest. I love that two of them write books for a younger audience as well. For some reason, it always impresses me when an author takes time to write books for children and teens. *blush* My TBR pile (both paperback and digital) is full of books I’ve bought just because I discovered a new author I love, thae had to have the whole list to read through in order. The Flower Shop Mystery by Kate Collins is a perfect example. I was late to this series, so I have a teetering pile on my bedside table. Anita Joy, you’re asking the right crowd about “an addiction to reading”!!! Kerry Greenwood’s Corinna Chapman bakery mysteries. But there are so many choices! It’s Corinna Chapman for me, too Marja, along with the Phryne Fisher novels by the same author. I have every one of these two series (In matching editions! Whee!) and as somebody else said, earlier, it’s ‘No questions asked’ when I see a new one. Only this one author, though. I have that much restaraint. Lol! Marja, you’re even closer to being current with your favorite authors than I am. In some of my cases, I’m a few years behind, which means my Kindle queues are absolutely ridiculous. OMG – there are so many! I guess the question for me is – would this be an existing series or a new series (or book) by an author I like? I automatically would get the next book in an existing series, but would give a second/third thought to a new series (or book). For example – Katherine Hall Page (Faith Fairchild) is definitely on the list (probably at the top), however I’m unlikely to get her new book in May until I see some reviews (it’s unlikely I would be interested in short stories, but you never know). I have a very long list of books by favorite authors I get as soon as they’re released including: Albert (C. Bayles), Bartlett/Barrett, Burdette/Isleib, Logan/Bliss, Childs (Tea Shop), Cleland, Connolly, Fowler (if she’d ever write another museum book), Hyzy, Maron, Madison, MacInerney, Hank Phillippi Ryan, Coyle, and Goldenbaum plus many, many more. It would be impossible for me to narrow it down to just a few. Not only do the authors I like write a good/smart mystery, but I really enjoy following the characters in these series and anxiously await the next ‘installment’! MJ. based on how many Cozy Mystery books you read each month (that you like enough to recommend), it’s no surprise that you say “there are so many!” I also enjoy following “my characters”. The really good authors are able to make their characters feel like friends >>> about whom you want to know everything. Ok so I guess we are limiting this to authors who are still alive right? Wakar, with so many publishing houses re-releasing older mysteries, I would think they also qualify. I eagerly await a new book by Julie Smith and I don’t care which of her three series it belongs to because I love all her books. And I am always excited when it’s time for a new Les Roberts mystery. And I would LOVE to read a new Abigail Padgett novel but there haven’t been any of either of series in much toooooo long. I buy Mary Kay Andrews books as soon as they come out. My new cozy author that I buy as soon as I can is Duffy Brown with the Consignment Shop Mysteries. I love that they take place in Savannah. Diana, I am so glad they are re-releasing Kathy Hogan Trocheck’s Callahan Garrity Mystery Series under Mary Kay Andrews’ name. I hope a whole new “generation” of Cozy Mystery readers finds out about her mysteries. I have read all the Callahan Garrity Mystery series when they were under Kathy Hogan Trocheck. Loved them. I still have them and I am thinking about re reading them since it has been a while. I ALWAYS have “back ups” on my kindle! I usually have 5/6 books “waiting” for me! I finished reading the drowning spool by Monica Ferris and currently reading Miss Julia’s Marvelous Makeover. I am a knitter. So I always also have the next project set to go and am usually working 2/3 projects going. Gotta have both! CafeKnitter, I can’t imagine having a Kindle with my husband’s attitude about one-book-at-a-time on the device. As for your knitting projects: I’m a needle pointer and cannot have more than project going at one time. I’m far too obsessive-compulsive to be able to have one project sit while I work on another. I wish I could, though! There are so many good books and not near enough hours in the day! John, I couldn’t agree more! I buy right away, often the pre-release. I’ve gotten some pretty good price deals that way. One of the last ones I did as a pre-release was normally 7.99. When it shipped, I got the lowest price: 4.28 or something weird like that. Sometimes I just wishlist and watch, but I have a handful of authors I race to buy and read. One of them is Frank Tuttle: Cozy fantasy. I already have his latest Markhat adventure bought. Now if it would just ship itself to my kindle…come on!!!! These are my authors that I buy for my nook and soon to be Kindle, as soon as I see there’s a new one, no questions asked, just hit the buy feature. There are about five more I love and they keep me very busy. I do buy other books from other authors that I like, but I always check the cover and what it is about first. Jude E. That is quite a long list. Must keep you busy reading. You know, I have several authors that I like and will read each new book as it becomes available but I do not pay hardcover prices. I read too many books for that. So I wait till the price comes down to at least paperback price. I like Rhys Bowen, L.L. Bartlett, Krista Davis and Heather Webber right now. All I have to see is the name of one of favorites appear on Danna’s list and I will order it for my Nook. Hands down, sight unseen and no reviews.The joy of my Nook now is that I can buy them and not wait for them from the library. I still say thank you for all the libraries that were my sources in my pre-nook days.I am getting backlogged on my Nook with books, but I see a book and decide to buy it. Someday I will read them all. Now I have a question for all of you. I know that most of you read series by different authors. Do you ever find that you had missed a book in that series? This has happened to me a number of times. Most recently I discovered a book by Carola Dunn in her Daisy Dalrympole series that I had missed it. How I overlooked it is a mystery. Now I am trying to check every series that I read to see if I am up to date. Regina, I don’t think I ever missed a book in a series I follow, but sometimes I have been known to read the same book twice! This is one of the main reasons I began my list that is now the Cozy Mystery site. I automatically buy anything that J.B. Stanley writes under the pen name of Ellery Adams. I have preordered her new series coming out. The Mystery By the Bay is a favorite cozy mystery series. I read the Charmed Pie Shoppe series also. I think Ellery Adams is a very creative and excellent writer of cozy mysteries. Elly Griffiths is not on this list but I absolutely love her Ruth Galloway books. I wait eagerly for each book to come out. I don’t know what genre these books come under. The protagonist is a forensic archaeologist/professor who becomes drawn into solving crimes as an amateur sleuth. She works with police in solving the crimes and is used as an expert due to her work with bones. I am playing catch up with many series due to starting them late after they have been established for awhile. If I were caught up with some of them, the new books would be on my immediate buy list. Lynn, I really love playing catch up with new-to-me favorite authors. This is one of the joys of reading series. Ritter, I like long lists of favorite authors. It’s great to be able to easily find a new book to read. Stash Empress, I can see what you mean about your list getting too expensive to buy. Wow! Susan S, Some of those authors are ones I am not familiar with yet…I am going to check them out. I love my cozies and have a “(blush)” substantial wish list on Amazon that I keep up to date with all upcoming and new releases by all cozy authors. I can only choose 2 a month due to my own specially crafted budget restrictions, so I have to make my choices usually from my favorite authors. My library does not carry cozies (grrrr). Yes I stockpile my favorites and I do not apologize for it ! Lucky I do not have to put up with a husband who complains. I love to re read my old favorites. I like them organized by author and date of release (OCD) LOL. My favorites are Sheila Connolly, Lucy Burdette, Sue Grafton, Janet Evanovich, Meg London, Murphy, Carlisle, tea shop series, Avery Aames, Madelyn Alt (how I long for a new one!) Barrett, Bartlett and Hamilton vintage kitchen mysteries are just divine etc. Just too many to list. So nice to find some new authors here, well done everyone. Great topic. My wish list is now growing beyond proportions that are reasonable for purchase! Alexis, I totally agree. I also enjoy finding out about new authors from other Cozy Mystery readers. I always look forward to the monthly Cozy Mystery recommendations. I have too many cozy books that I buy as soon as they come out. If we’re talking non-cozy, my auto buy is anything by Alafair Burke, Meg Gardiner, J.D. Robb, Janet Evanovich, Linda Castillo to name a few. Dru, I’m with you in having a wish list that is too long. You know my Amazon wishlist (and Library hold list AND “for later” list) has grown SUBSTANTIALLY today just from reading the comments on this thread LOL! Stash Empress, I guess that is just one of the drawbacks of getting so many good ideas from other readers. Any new Rhys Bowen Royal Spyness mystery is a must have for me. Linda P, It is great to have a favorite author. Sometimes it is hard to wait until the new book comes out, though. 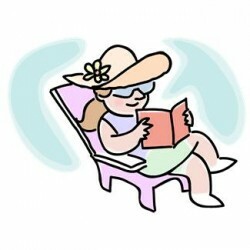 Some of my favorite cozy authors are Kathi Daley, Tracy Weber, Meg Muldoon, J.J.Cook. Non-cozy Beth Groundwater, M.L.Rowland, Maggie Shayne, Dale Mayer, Jan Christensen. That’s just to name a few, there are so many good authors and good books, so little time to read them all. I don’t buy hardback (I don’t have room for all the mass market paperbacks that I buy – which is why my parents got me a kindle for Christmas several years ago) so if an author that I really want to read has hardback releases, I get them from the library (and I have a long list of those). Most of those I just read the library copy, but there are a few that I will read the library in hardback and then buy the mass market paperback when it comes out because I do go back and re-read some of my favorite series. There are also a number of authors that publish straight to mass market paperback that I will buy their books, no questions asked. Fortunately with the kindle or nook, there are several series I have started getting just on the ereader (including some series by authors who have earlier series that I’m still getting the paperback – I tend to keep getting the new books in a particular series in the same format as the earlier books). My TBR piles keep growing – the library pile, the paperbacks I own and my ebooks. At least with the ebooks and can have a lot of them with me at any time – I do not understand your husband having only one available at a time. Judith, You sure do have a lot of “TBR piles” to keep track of – with reading three different formats. I have a hard time just keeping my Kindle pile straight. Yes, Stash Empress, you can. I don’t know how you do it on iPad, but you want to find something that looks like “Remove from Device” command somewhere in a menu or something. On my Kindle I hit the pseudo-right-arrow on the big middle pad, but it’s probably a menu option on your iPad. When you “remove” it, the book file goes into your Archives, which are always accessible again by logging into your Amazon account and go down to the Digital Content block of options (it’s the fourth down on your account page), then click on Manage Your Content and Devices. There, you will see all the files you’ve purchased in your Kindle Library. To find it again, you can enter the book title or author in the search window and hit GO, and it will find your title again–Or you can go down the lines to find it by looking at all the titles you’ve purchase. Regardless of which way you find it, once you find the file, click the down arrow on the Actions button, and chose the option Deliver to My–and choose your iPad. Then the file will be reloaded the next time you open your Kindle app on your iPad. Swipe to the left and a red archive box will appear! It will send it back to Cloud. Do not swipe if the red box says delete. Correction…if you swipe to the left and the red box says delete do not hit delete unless you want to permanently remove from devise. If you accidentally hit delete there will be a question box that appears asking if you realize what you are doing and to confirm. If you just want to remove the books from your device, you press and hold on the book. A little side menu will pop up that gives you the option to “remove from this device”……just tap that and it will be gone. (Just from the device, it will still be accessible in your Kindle account through Amazon’s Website). If you ever want to send the book back to your device, you have to do it through your “my kindle page” on Amazon’s Website. Another option, at the bottom of the screen when your Kindle App is open……you can toggle between what you have in the cloud and what you have downloaded to your device. If you haven’t created “collections” or shelving, you can create shelves for your books, however you want…..right from your app. It really helps, especially if you have a large amount of books. The shelves will sync, so any other devices you have connected to your account will show the same. I have a shelf named “done reading”…..that’s how I keep track. All of my books are on shelves, so that’s how I browse to find my next book. (Just my analness)!! I forgot to add that you can have a book on more than 1 shelf/collection. For example: I have a shelf dedicated to a certain genre, but a book on that shelf could also be on my “done reading” shelf. You could also break your shelving down further, especially if you have a favorite series or author. I just prefer to shelve by genre. Thanks so much for the suggestions! So in the end I found that I had to switch to list view rather than thumbnail view (couldn’t do anything with it in thumbnail view other than open to read). Then in list view I could right swipe & it did give me the archive button. Yahoo! Now I just have to leave my library set for “device” rather than “cloud” cuz in cloud view they’re still visible (though not actually downloaded) — which defeats my purpose. But I didn’t see any place the option to make different shelves/collections like you mentioned — how do you do THAT???? Would LOVE to have different “shelves” for different subjects! When you open the Kindle App, there will be a set of lines in the upper left corner. Tap that, and it displays a menu that opens on the left hand side. Click on collections. (If you don’t have any shelves, this screen will be blank). Now, tap the “+” sign in the right upper corner. This will allow you to make shelves/collections. You can have as many as you want…..by genre, by author….whatever, they are shelves, just like you would do with a real bookcase. 1. When viewing your books, either in cloud or device mode, tap and hold on a book. A small menu will come up, choose “add to collection” and then a list of your collections/shelves will come up. You can place your book on 1 shelf or multiple shelves. Click done or close when you are done. Repeat with another book or…..
2. Tap the small lines in the upper left corner. Choose collections. Choose the collection you want to add books to, and click the “+” to add books. This way, you can add multiple books by going through your library. If a book is on your shelf already, it will show. Make sure you “sync” your app when you are done. This saves your changes so that any other device connected to your account has the same changes. My suggestion, play around with the app and icons within it. If you accidentally hit the wrong thing, just click done or click off to the side to get out of it. You really can’t mess anything up, and you can undo anything if something should mess up. Once you remove a book from your device, you can only send it back to your device through the “my kindle page” on your amazon account/website. Sorry for making you all crazy — after not being able to figure out why I couldn’t FIND the “menu icon in upper left” — and contacting customer service & etc. — it was just determined that the collections feature (and the menu icon!) is only available in kindle app 4.2 — and I have 3.9.1 — and 4.2 needs iOS 6.0 to run — and i have 5.1.1 — and you need at least Ipad2 to run 6.0 — and I have original Ipad — so — no iOS 6.0 — so no Kindle app 4.2 — so no collections for me! Oh well — at least you told me how to remove those items from my device so at least now my library isn’t so crowded! Thanks anyway! Stash Empress, I have not commented about the “how to” workings of a Kindle App, because I’m pretty clueless about Apps. BUT, I will post this comment: I just hate it when “they” update technical things! I know “they” think it makes it easier for all of us, but it sure would be easier (for me, at least) if all of the technical things were the same. I know “they” want to improve devices, and they do improve them with each escalating number, but YOW! It sure does make it more difficult for those of us who need help. I am a different Laurel than one of the previous posters. My problem is I am addicted to books and when you add free . . . I just download everything that sounds good. Oh man, what a huge group already. As for my must buy author. I only have 1 so far . . . Joanne Fluke. Laurel, aren’t those FREE books great? I have managed to “buy” so many FREE Kindle mysteries by authors I’m aware of as well as authors I have never heard of when they were on sale that I now have a folder on my Kindle called something like “possibly try”. I’m afraid I have way too many automatic buys, although I have downgraded a few in the past to ‘wait and see how the next one looks’ if they have disappointed me for two or more books in a row. My staples for years, though, have been Mary Higgins Clark, Donna Andrews, Carolyn Hart (Annie Darling series only), Anne Perry (Thomas and Charlotte Pitt series only), Katherine Hall Page and Nancy Atherton. These are authors I just can’t wait the extra time to go to paperback, so I keep on the lookout for their upcoming Kindle releases and pre-order as soon as I can. And then I keep on checking my digital orders on Amazon every month to see if maybe this month is the month they are coming out. Julia, you are much kinder to your favorite authors who have disappointed you “for two or more books in a row.” As much as I agonize about it (must be my ingrained guilt complex!) I drop them. If one of their books disappoints me, then I’m willing to try another >>> after that, zip, zilch, nada! I’m a little late to the party but thought I’d add a couple of my must read–no blurb reading necessary favorites. Donna Leon, Alan Bradley (Flavia De Luce), and Martha Grimes (Emma Graham). I was very surprised to find I enjoyed Flavia and Emma so much since they are kids but the writing is superb and the characters delightful. I was surprised that those who mention Mary Daheim specify the B&B series; I prefer her Alpine series myself. Marie, I share your surprise about a series I wouldn’t have thought I would like so much because it features a child, also. I am an avid follower of Margaret Grace’s Miniature Mystery Series. The main sleuth and her grandaughter (Maddie, a pre-teenager) are terrific together. Who’d a’ thunk it? Sheila Connelly books. In fact, I emailed her when I read the first book in her latest series that is set in Ireland and asked how soon the next one was coming out. I had to wait almost a year but I bought it as soon as it hit the stores. Read it that day now I’m waiting on the next one. So glad there are other cozy mysteries I like to read. I immediately buy the next Coffeehouse mystery by Cleo Coyle. I love this series. I can feel myself sitting in one of their cozy chairs next to the fire reading about all the mystery going on around me. While I wait for the next Coffeehouse mystery to come out, I am catching up on the Scrapbook mysteries by Laura Childs, another favorite. Holly, it looks like I share your taste in Cozy Mysteries!